Trinity offers martial arts and self defense instruction in downtown Toronto, Ontario, Canada. Our classes follow the InosantoJKD (Jeet Kune Do) Concepts approach, integrating technique and theory from three main combat systems: Jun Fan Gung Fu,Savate, and Kali. Trinity students are able to function and transition smoothly through all ranges of combat – from weapons, to stand up striking and trapping, and on to grappling and ground work. The three systems that make up our training approach at Trinity Martial Arts. Jun Fan Gung Fu is the foundation upon which all our training is based. It is the curriculum that martial arts pioneer Bruce Lee taught his students in the 1960’s, and served as the root for the development of Jeet Kune Do. 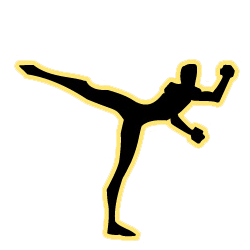 Jun Fan Gung Fu is divided into three subsections: Kickboxing, Trapping, and Grappling. Our Kali focus stems from the Inosanto / Lacosta “blend”. 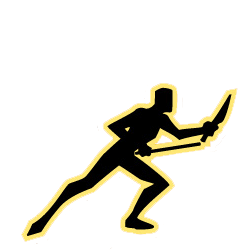 We practice single and double stick, and the knife – but also include a great deal of the empty hand material from the subsystems of Panatukan (Filipino Boxing), Pananjakman (Filipino Kicking), and Dumog(Filipino Grappling) as supplements to our Jun Fan Gung Fu base. 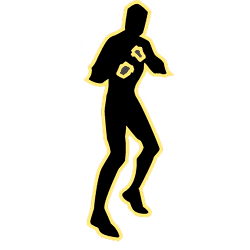 Savate forms the basis of our competitive sparring structure. Students interested in sport competition are encouraged to pursue ranking through Savate Ontario or through Professor Salem Assli and the California Savate Association.